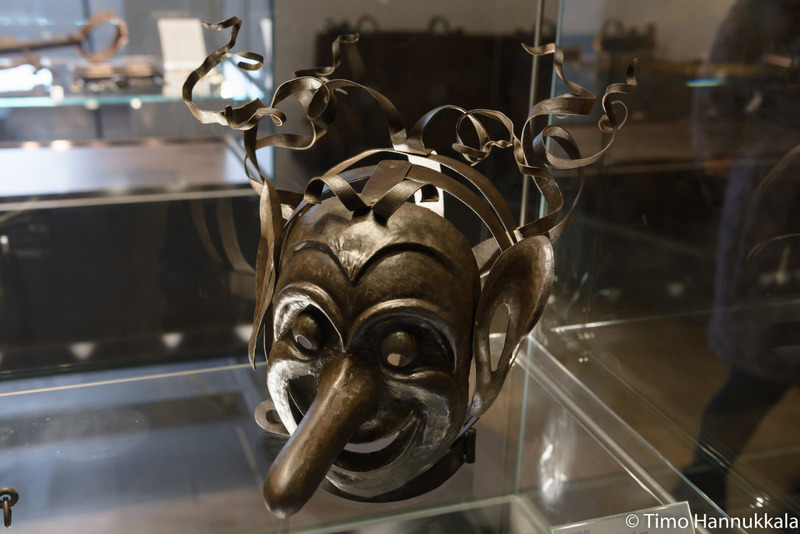 Shame masks were a type of embarrassing punishment device used in Europe during the middle ages until 18th century. 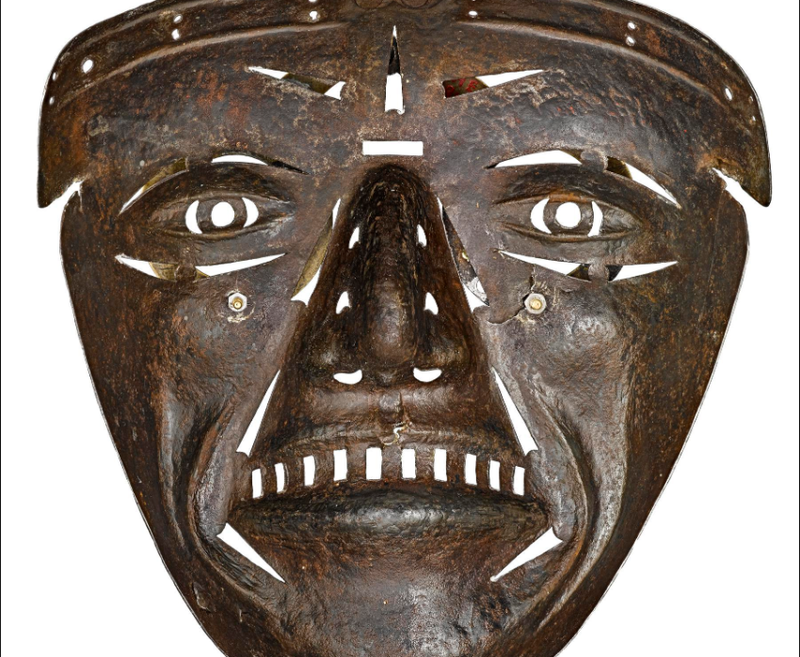 They were usually made of cold, unyielding metal, and the masks were created in various mortifying designs. While the heavy mask was certainly tortuous, the main point of the practice was to humiliate the offender as much as possible. 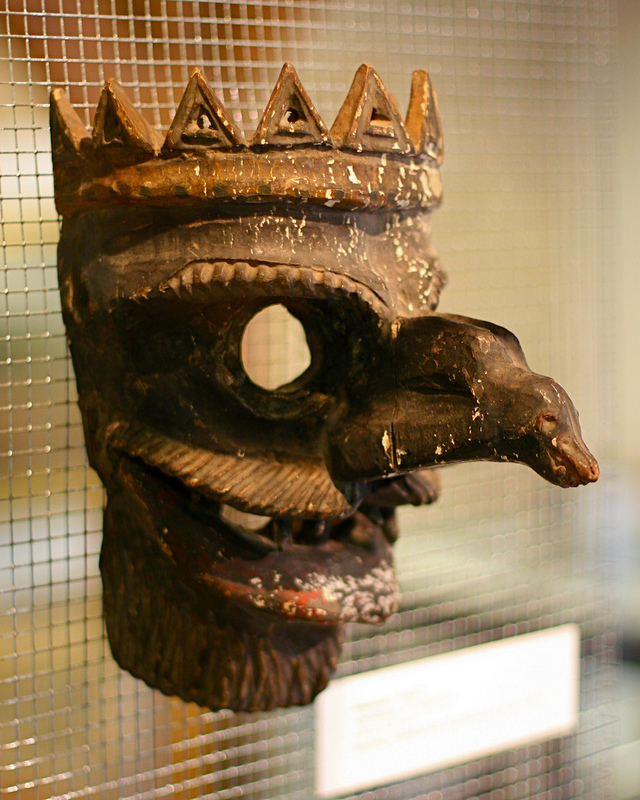 Consequently, the masks were often made to look or sound silly and give folks an idea of the individual’s sin. 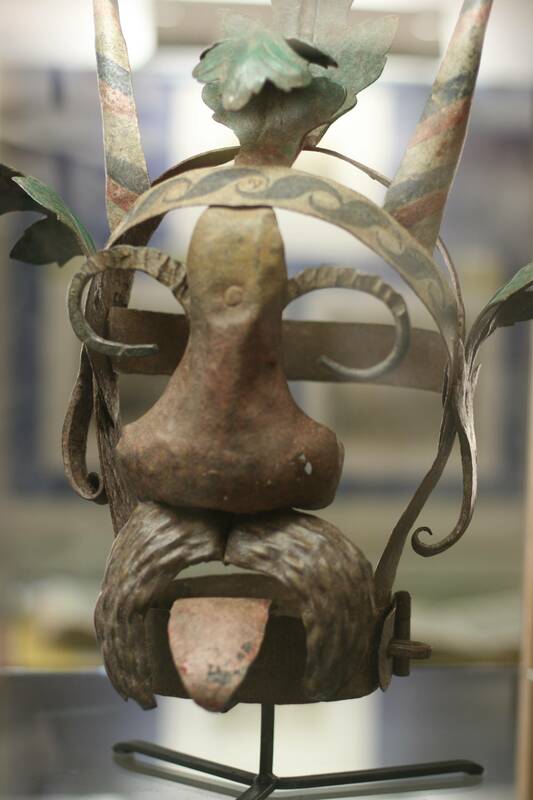 For instance, some had donkey ears to signify a fool, long tongues to represent a gossiper, or giant pig noses to indicate the person was “dirty.” Some even made whistling sounds every time the wearer exhaled—much to the amusement of onlookers. On top of that, the criminal was then pushed into the stocks where they were subjected to the taunts, jeers, and possibly rotten tomatoes of passersby. 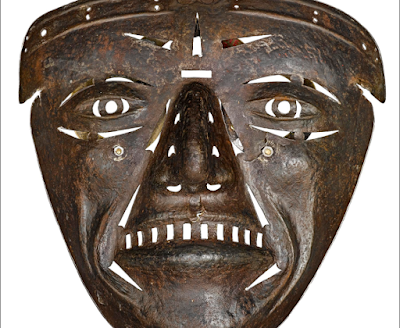 Some of the masks also had an iron bit, which pressed uncomfortably down on the tongue of the offender. 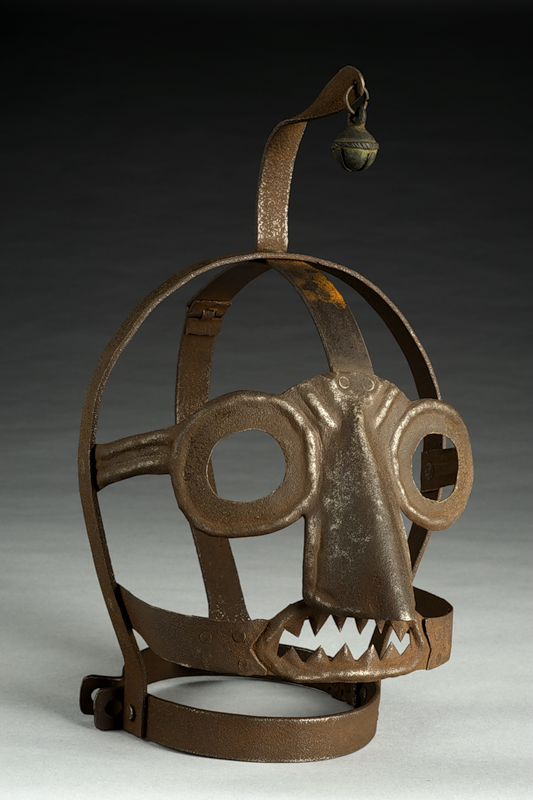 Before being practiced in Germany, it seems this particular form of abuse was inspired by the British “scold’s bridle,” a similar form of punishment mostly used on women. In addition, this device also travelled across the Atlantic when the Puritans set up their colonies in the New World. Incidentally, another instrument of punishment for scolds, in both Europe and the New World, was the ducking stool, where the offender (again, usually women) was placed on the seat of a long pole, and then ducked in a pond or river. The punishment was also administered to quarrelsome married couples (in which the pair would be tied back to back on the ducking end of the device), as well as bad tradesmen. The goal of schandmaskes was quite simple: punish and ridicule the offender so as to control the behavior. 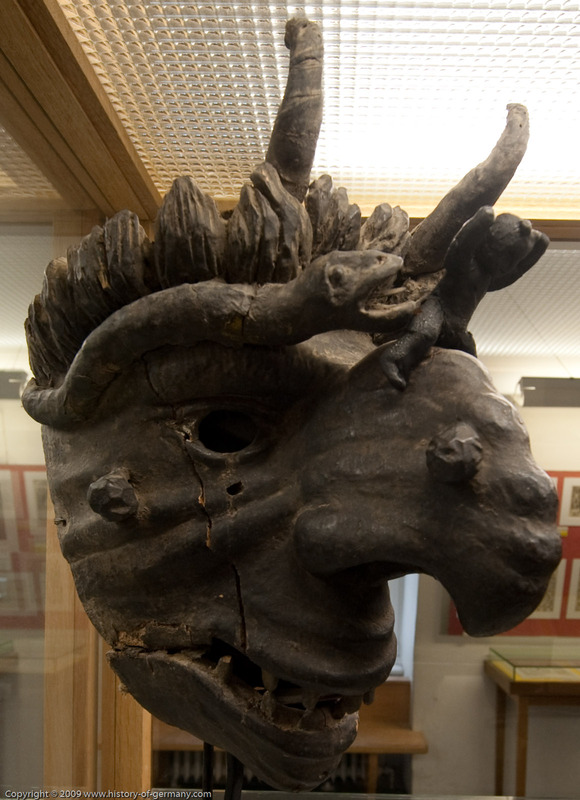 Townspeople looking at people wearing such masks, or participating in humiliating activities such as "riding the stang," would certainly get the message. Don't gossip. Don't be a pig. Know your place. Reinforcing cultural norms and expectations was certainly important enough to Europeans to develop such... strange methods. The question is: did they really work? 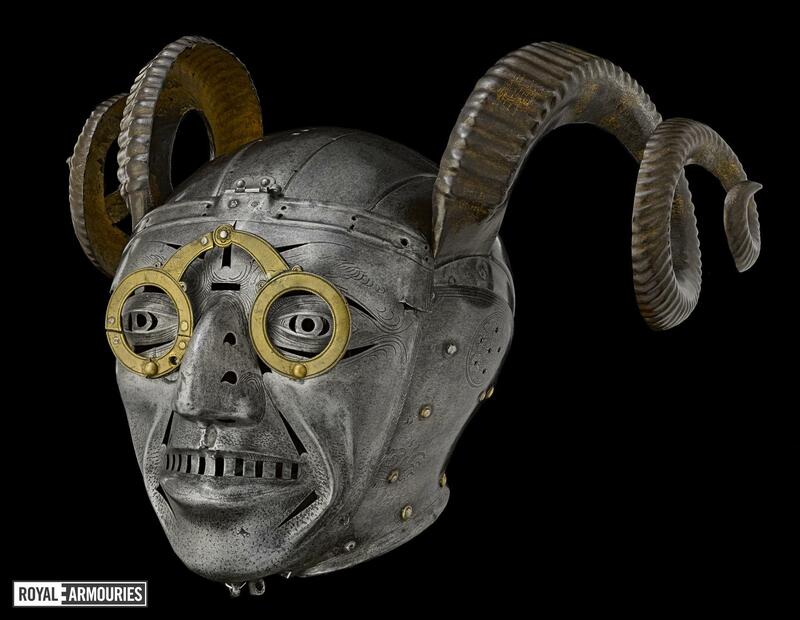 One of the most iconic pieces of armor ever is the horned helmet of Henry VIII. 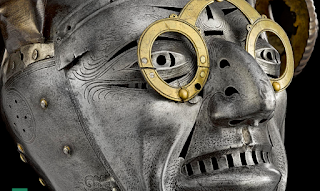 It formed part of a magnificent armour, commissioned in 1511 by the Holy Roman Emperor Maximilian I as a gift for the young king, who would have worn the armour for court pageants rather than in combat. The Horned helmet is technically called an armet, with protection for the skull, hinged cheek pieces, and a face defense. An armet is a type of helmet which was developed in the 15-th century. 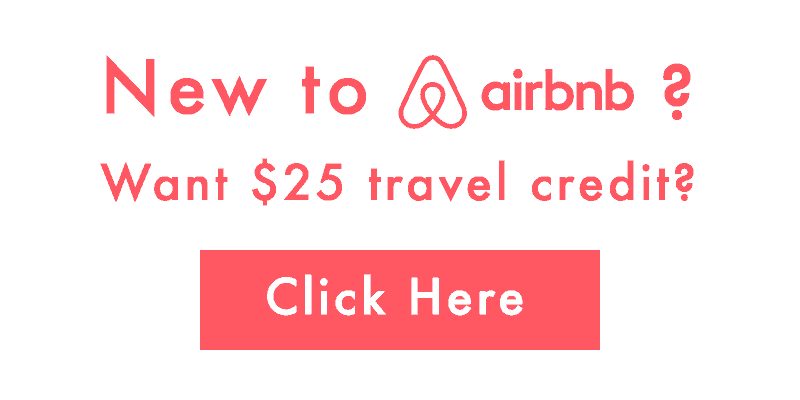 It was extensively used in Italy, France, England, the Low Countries and Spain. It was distinguished by being the first helmet of its era to completely enclose the head while being compact and light enough to move with the wearer. Its use was essentially restricted to the fully armored man-at-arms. Originally, the helmet had silver-gilt panels placed over rich, velvet cloth. The glasses were implemented because Henry VIII was actually nearsighted, a theory supplemented by the fact that there were dozens of glasses in his possession after his death. It was made for use in pageants rather than for combat. Henry VIII might have worn it at sumptuous events such as the parades that accompanied tournaments. 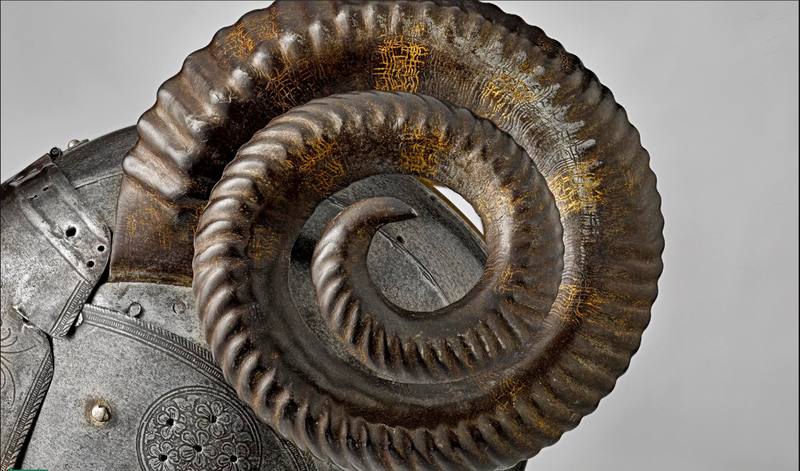 Following Henry’s death in 1547, it was probably placed on display among other arms and armour belonging to the king – while the rest of the armour was apparently discarded as scrap metal after the Civil War. The extraordinary appearance of the helmet probably saved it from destruction and it has remained one of the most enigmatic pieces in the collections ever since.